​The South Nevada Avenue Corridor is to be comprised of a mix of land uses that include commercial/retail uses along both sides of Nevada Avenue and multi-family, restaurant and hotel uses located along Tejon Street. A linear park will be created along Cheyenne Creek that will provide recreational amenities as well as provide needed drainage improvements. 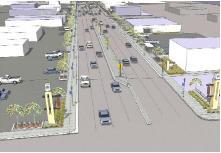 The South Nevada Avenue Area Urban Renewal Plan was approved by the Colorado Springs City Council on November 24, 2015. 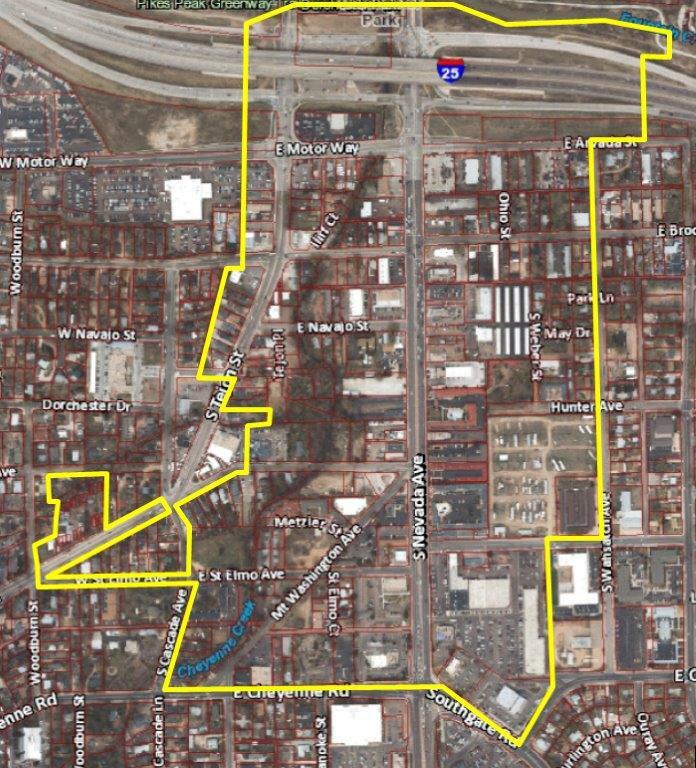 The urban renewal area is located in south central portion of Colorado Springs between East Cheyenne Road on the south, Fountain Creek on the north, South Wahsatch Avenue on the east and South Cascade Avenue on the west. The purpose of the South Nevada Avenue Area Urban Renewal Plan is to reduce, eliminate and prevent the spread of blight within the Urban Renewal Area and to catalyze growth and investment within the area boundaries. To accomplish this purpose, the plan is intended to promote local objectives expressed in adopted community plans and advance the vision and priorities of the 2001 Colorado Springs Comprehensive Plan. Renewal of the South Nevada Avenue Area will involve new development and stabilization of both public and private spaces. Key to all initiatives will be the acknowledgement of the Area’s historic roots and role in the community. While commercial at its core, surrounding residential neighborhoods give the area its character and lifeblood; therefore, new uses will be both local and region serving. Given its strategic location at a critical gateway to destinations beyond the I-25 corridor including the Ivywild and Broadmoor neighborhoods, future improvements will be of an appropriate quality. Natural features including parks, open spaces, trails, tree stands and waterways will be improved and maintained so that they are a true amenity rather than an obstacle. Finally efforts will be made to maintain the area’s diversity of uses and markets they serve while enhancing both its environment for businesses and quality of life for its residents. Develop a Mix of Interdependent, Compatible and Mutually Supportive Land Uses.